After setting a strong position in the digital payments service in India, Paytm is now ready for a big game. According to recent reports surfacing online, Paytm is going to launch a messaging service by the end of this month. There are already several messaging apps including Allo by Google, Line, WeChat, Hike and Facebook Inc’s WhatsApp among others. 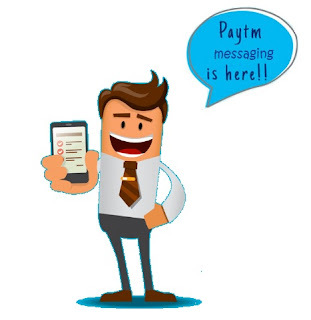 So, experts believe that Paytm’s messaging service will face a major challenge from WhatsApp which is the leading player the industry with more than 200 million monthly active users in India. Electronic payment and e-commerce company Paytm is backed by SoftBank and Alibaba and already has over 225 million users on its wallet app. The integration of messaging feature in the wallet app will allow users to send audio, video and pictures and texts. Paytm gained maximum popularity late last year when the Government of India announced the demonetization policy in the country in a step to target black money. After invalidating Rs. 500 and Rs. 1,000 bills overnight which together accounted for more than 80 percent of the cash in circulation, the Indian government asked people to switch to digital transactions instead of cash. The market of messaging apps is too crowded, so just wait and see how Paytm handles the competition.